Imagine the pressure saving an entire universe and doing that with a guy in an orange and green swimsuit. That is the challenge that Director James Wan faced when he was given the reins to the film Aquaman. This would be no small feat because, although 2017’s Wonder Woman was an unqualified success for Warner Bros. and DC Comics, Suicide Squad and Justice League were largely panned and underperformed at the box office. Thus, the future of DC Comics would largely depend on how Wan’s stand-alone Aquaman film would fare. Thankfully, Wan and stars Jason Momoa, Amber Heard, and the rest of the cast delivered. When a beautiful woman washes up near the lighthouse manned by Tom Curry (Temuera Morrison), he has no idea that she is a fugitive queen of an underground kingdom. Even as Atlanna (Nicole Kidman) and Tom fall in love and have their son Arthur, the threat of her being whisked back to Atlantis always looms. Eventually, she does leave, but she also promises Tom that she’ll return to her family one day. Years later, an adult Arthur (Jason Momoa) has become a reclusive hero, swimming through the depths, taking out pirates, and trying to clean the oceans like was trained to by the Atlantean vizier Vulko (Willem Dafoe). 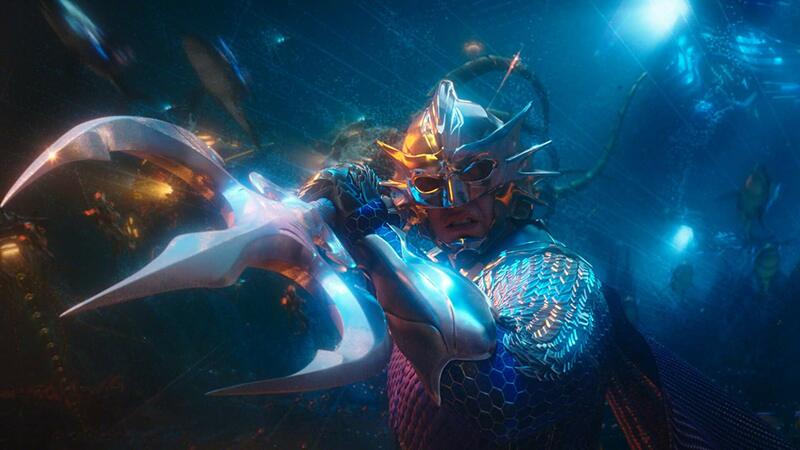 Princess Mera (Amber Heard) of another sea kingdom, Xebel, appears to bring Arthur back to Atlantis because his half-brother Orm (Patrick Wilson) is planning a war on the surface world. Vulko informs Arthur and Mera that the only way the Atlantean people will accept Arthur as king is if he recovers the lost trident of Atlan, the first king of Atlantis. Traveling across the globe, the pair go through land and air as well as the oceans in hopes of finding the powerful symbol that will finally reinstall Arthur to his birthright and unite the underwater kingdoms. After cutting his teeth on horror movies like the Saw franchise and The Conjuring, Wan took his first steps in the superhero genre with seeming ease as evidenced by this film. He clearly faced numerous challenges in making it, not the least of which was creating a movie that should be about 70% underwater. Wan also manages to mix a few cinematic influences together here as elements of Indiana Jones, James Bond, and his own horror sensibilities combine in a film that really captures the sheer size of the Earth’s oceans a.k.a. Aquaman’s domain. Borrowing heavily off writer Geoff Johns’ run on the Aquaman comic, Wan’s film incorporates several of Johns’ creations including The Trench, Dr. Stephen Shin (Randall Park), and King Nereus (Dolph Lundgren) and Xebel. If it wasn’t already clear in Justice League, Momoa is anything but the typical stuck up comic hero of old. As he shared to the press on his recent trip to Manila, he gets Arthur being of two worlds or two races, much like he is, and he embraces being a representation of mixed races that people can see in a leading role. 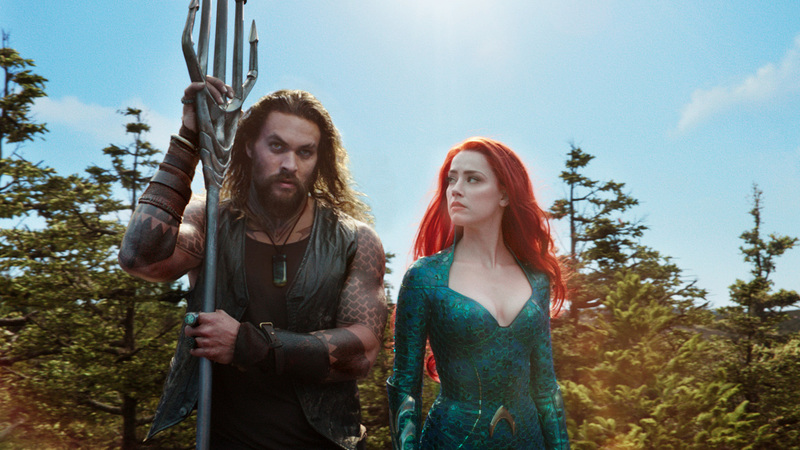 His charisma and comic timing add a different tone to this movie, giving Aquaman something sorely lacking in many DC Comics films: humor and lightheartedness. And the humor here doesn’t feel forced at all but rather, part of the interplay between the characters. Classic Aquaman villains Black Manta (Yahya Abdul-Mateen II) and Ocean Master are also given their origin stories here, and each stays true to their comic backstories. In the cases of Atlanna and Mera, we have not one but two very capable women who are anything but damsels in distress. Heard proudly said that Mera was a driving force in this film and helped make Arthur truly be Aquaman. In fact, she is every bit his equal as far as fighting villains and taking on challenges of all sizes. Even supporting characters such as Vulko and Tom Curry prove significant to the story and Dafoe and Morrison don’t slack off in their respective performances as well. On top of the globe-spanning and ocean-crawling adventure, the action in Aquaman also delivers big time. Whether it is the up close, hand-to-hand type of combat or the big vehicle, big creature variety, Wan manages to integrate them all into this film in a little under two and a half hours. By the time the movie reaches its climax, there is little doubt left that a hero once laughed at as riding seahorses and only talking to fish or part of punchline to comedian Rex Navarrete’s famous bit is indeed the rightful king of Atlantis and monarch of the seven seas.